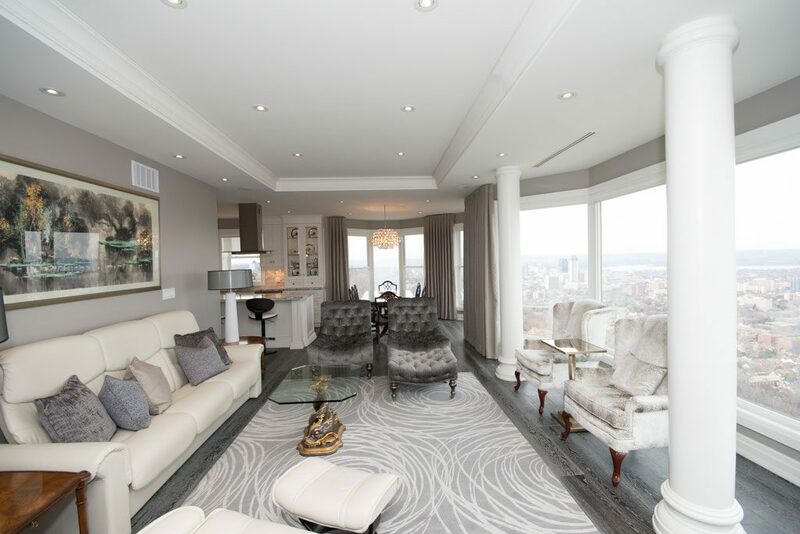 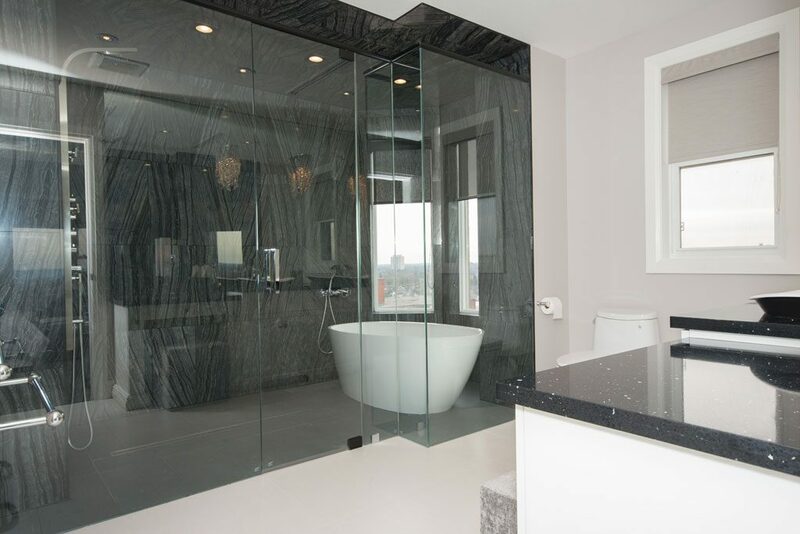 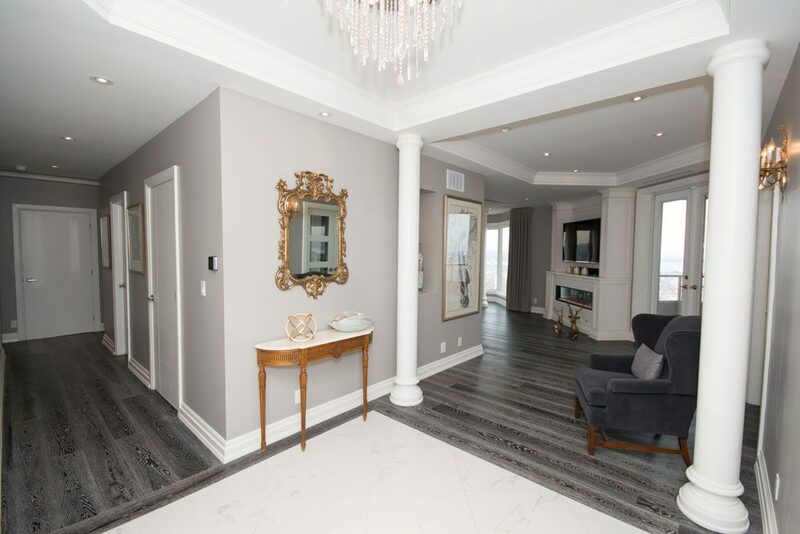 This Hamilton Condo was a new build in which the developer left the space completely empty for the owner to have full control over the interior design and finishes. 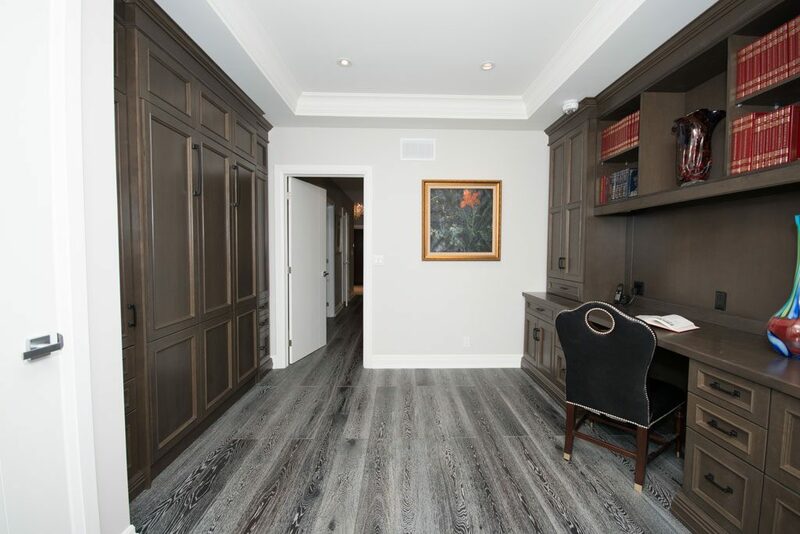 We worked closely with the clients own appointed contractor, Thomas Chmielecki of TNC Group Inc., who was incredible at rolling with all of our requests and finished off this space in the most tailored and meticulous way. 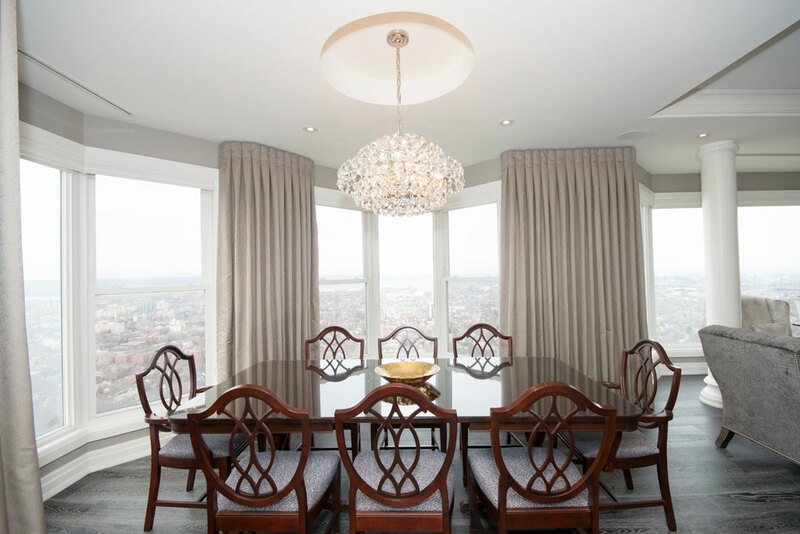 Our goal was to soften all the hard edges in the space and to find creative & functional ways to work with awkward angles and floating furniture. 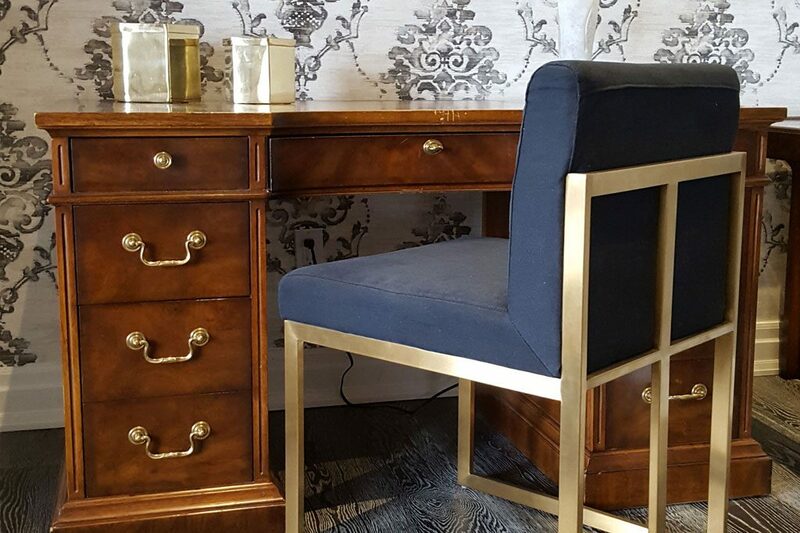 The clients were eager to reuse a lot of their existing furniture, which were mostly imported Asian imperial pieces, so we got creative and reupholstered with some show stopping fabrics. 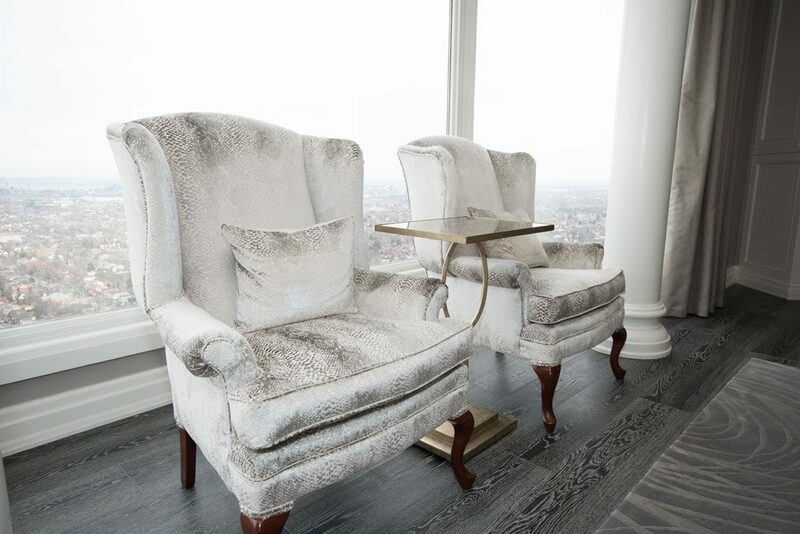 Our favorite pieces were easily the snake skin velveteen chairs that took centre stage in front of the large living room windows and spectacular view. 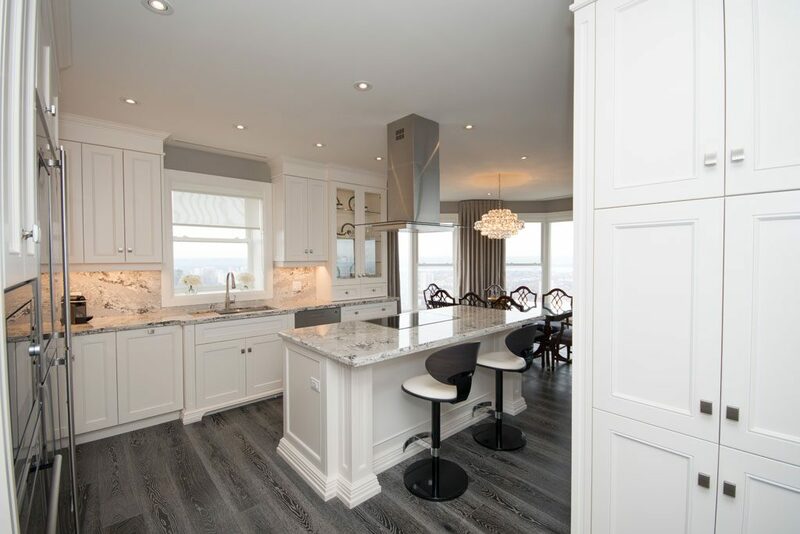 We were often forced to work around the existing building envelope and structural elements as they were, which was difficult but forced us to think outside the box when designing all of the custom millwork. 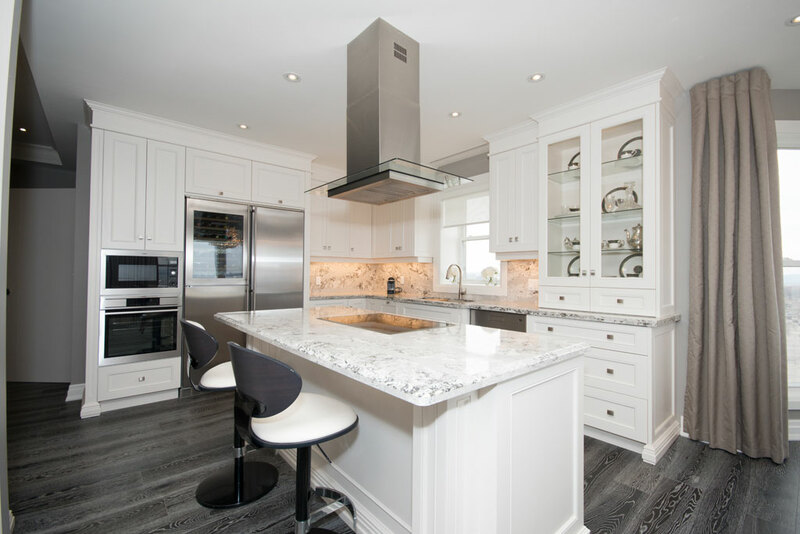 The client had both classic and modern taste so the kitchen cabinetry needed to be a perfect mix between the two styles, as well as accommodate all of their top of the line appliances. 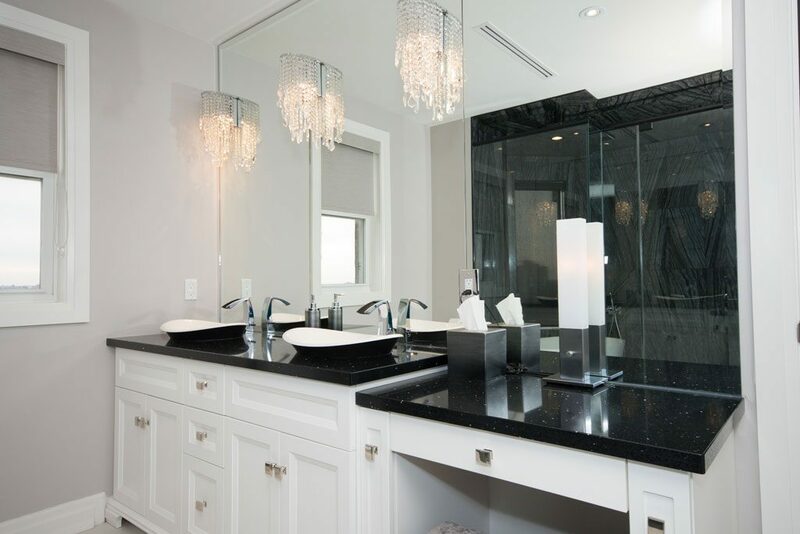 The continuous span of Cambria quartz from countertop to wall creates a beautiful polished look, that sparkles when the light hits it. 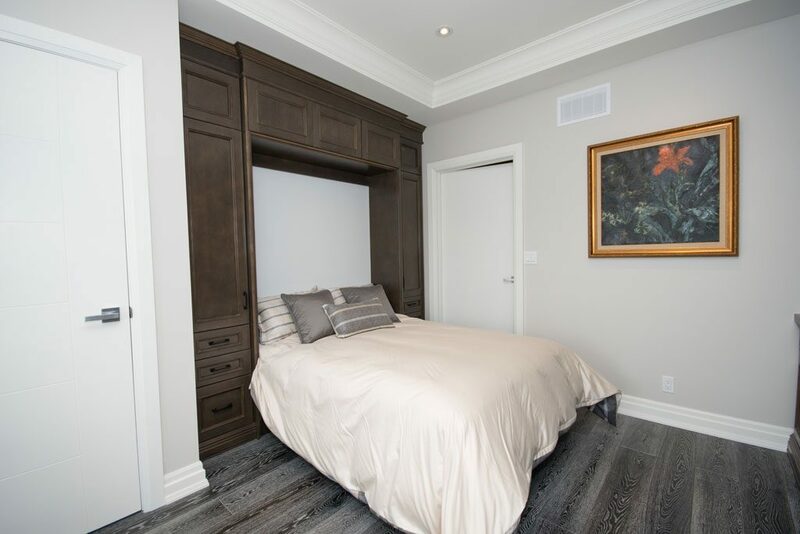 We designed a custom murphy bed in the office so it could serve as both an office and a spare bedroom for extra guests. 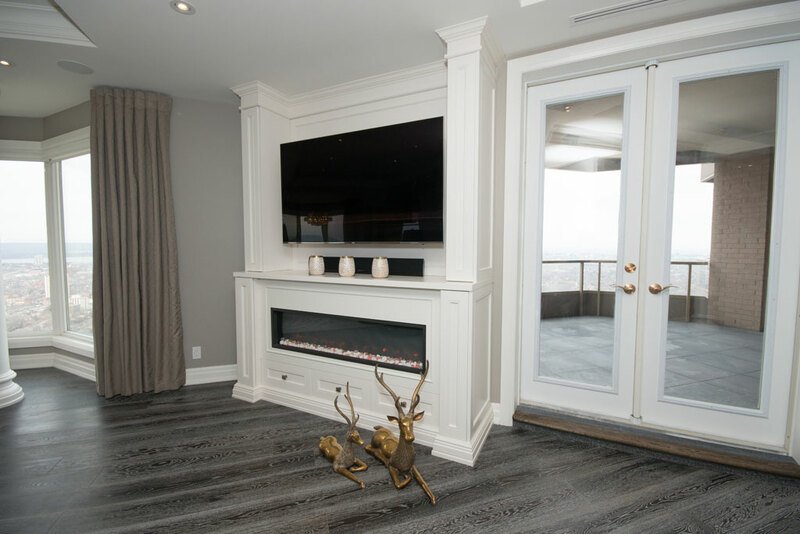 The built in TV console with a fireplace was built on an angled wall in the living room to create a custom look and make use of the awkward space. 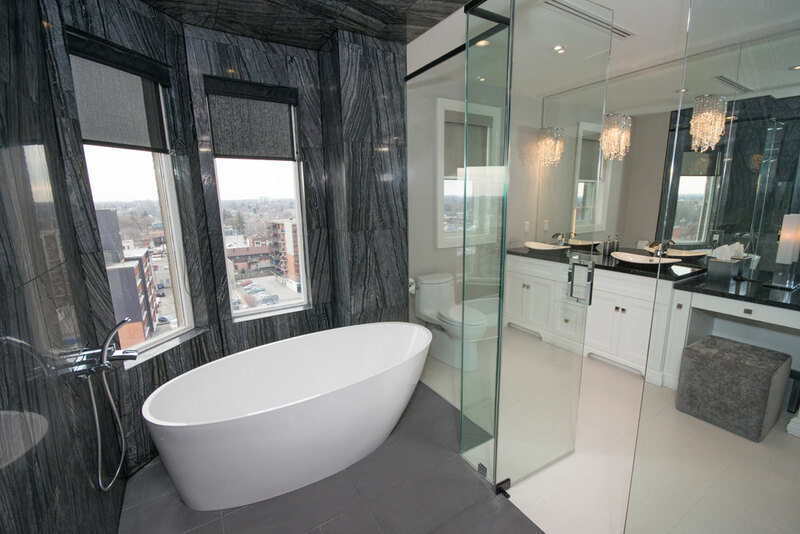 We are extremely proud of the intricate millwork & beautiful finishes that were chosen to create this modern and sleek condo with an Asian flare.